A news organization that is funded by the billionaire Koch brothers and other right-wing groups accused Oakland politicians of being influenced by organized labor. Last week, a news website called California Watchdog published a report about the Oakland City Council's rejection of a watered-down minimum wage plan that was backed by the local chamber of commerce and sponsored by Councilmembers Pat Kernighan and Lynette Gibson McElhaney. The Kernighan-McElhaney ordinance was designed in part to undermine support for the Lift Up Oakland ballot initiative, which, if passed by city voters this November, will raise Oakland's minimum wage to $12.25 next year. Bre Payton, a reporter with California Watchdog, strongly implied in her story that Councilmembers Rebecca Kaplan, Dan Kalb, Desley Brooks, and Libby Schaaf voted against the Kernighan-McElhaney ordinance because they've taken money from labor unions. Payton reported that in 2012 Kaplan received $1,300 from Service Employees International Union and $750 from the United Food and Commercial Workers. Kaplan campaign spokesperson Jason Overman was quoted by California Watchdog, saying, "campaign contributions from years ago never play a role in how she votes for policy." A scan of campaign finance disclosures supports Overman's point, at least with respect to the minimum-wage debate. Many Oakland politicians, including those who voted against the Kernighan-McElhaney ordinance, have also received large contributions from the Oakland Metropolitan Chamber of Commerce and other business groups that oppose Lift Up Oakland. For example, the chamber gave Kaplan $1,300 last year. And Gregory McConnell, a business lobbyist and opponent of the Lift Up Oakland initiative, gave Kaplan $500 in 2012. Kalb also got $1,300 from the chamber and $350 from the McConnell Group in 2013. I called Payton to ask if she knew that Kaplan and Kalb also received contributions from anti-minimum wage groups, but she declined to talk. She also did not respond to an email. Kalb, who was also quoted in the California Watchdog story, told me he had the sense that it was a conservative organization. "I knew when I was responding that this was some right-wing thing," he said. "I've probably got donations from people on both sides of the issue, and so either way I voted I could be charged with trying to do something for money." It turns out that California Watchdog isn't just some right-wing thing; it's paid for by arguably the wealthiest right-wing activist network in the United States. California Watchdog is a project of the Franklin Center for Government and Public Integrity, a Virginia-based nonprofit. Tax records show that the Franklin Center is funded by a small group of foundations controlled by wealthy conservatives, including Charles and David Koch, the billionaire heirs to an oil fortune who have bankrolled some of the most aggressive anti-labor and anti-environment campaigns in recent years. 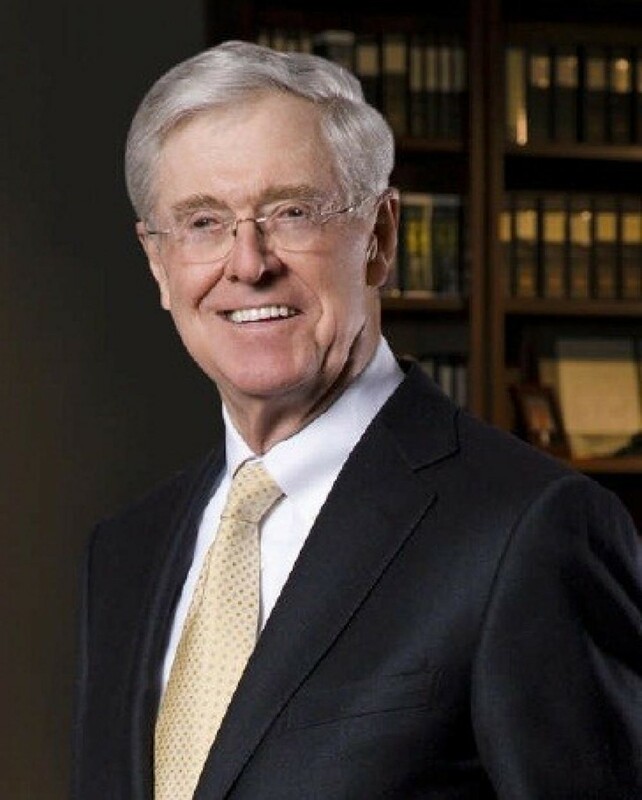 In 2012, the Franklin Center received a $1.6 million grant from Donors Trust, Inc., a secretive nonprofit that funnels Koch money into various causes. According to research by journalist Sasha Chavkin's published in the Columbia Journalism Review, 95 percent of Donors Trust, Inc. funds in 2011 originated from the Koch brothers. Another major source of financial support for California Watchdog is the Lynde & Harry Bradley Foundation, a Wisconsin nonprofit with more than $630 million in assets that funds anti-labor, anti-abortion, anti-LGBTQ rights, and anti-environment campaigns. The Lynde & Harry Bradley Foundation gave the Franklin Center more than $480,000 between 2010 and 2012. Although the Watchdog site depicts itself as an independent investigative news organization, its reporters often quote sources who are employed by advocacy organizations funded by the Franklin Center's major donors. For her report on the Oakland minimum wage, Payton used information provided by Michael Saltsman of the Employment Policies Institute, who claimed that the UC Berkeley Labor Center study that supports the Lift Up Oakland initiative is flawed. Saltsman also asserted that most peer-reviewed research shows that minimum wage increases cause job losses. But Saltsman is not an academic, and the Employment Policies Institute is not affiliated with a university, although it does have several economists on its board of advisers. A search of several academic article databases turned up zero peer-reviewed papers on minimum wage increases authored by Saltsman. Tax records show that Saltsman and the Employment Policies Institute are funded by the same foundations as California Watchdog. The Employment Policies Institute took $2 million from the Lynde & Harry Bradley Foundation between 2010 and 2011. Another conservative foundation, the Searle Freedom Trust, paid the Employment Policies Institute $75,000 in 2012 to fight minimum wage legislation. That same year the Searle Freedom Trust paid the Franklin Center $150,000 to support its "citizen journalism program." Despite quoting Saltsman, and referring to research on the minimum wage funded by the Employment Policies Institute, California Watchdog failed to disclose that it has some of the same donors as the anti-minimum wage group. Multiple phone calls to the Franklin Center went unreturned. The Employment Policies Institute recently launched a website, Bad Idea California, to oppose local minimum wage laws. The group also recently paid for anti-minimum wage billboards in San Francisco and Los Angeles, and paid for anti-minimum wage ads in the San Jose Mercury News. Simultaneously, reporters for the Watchdog site have been writing stories about proposed minimum wage increases in San Diego, Los Angeles, and Oakland that frequently include quotes and information from the Employment Policies Institute warning that increasing the minimum wage will cause job losses and other harms.